BRUSSELS – RYCO Secretary General Mr Đuro Blanuša participated in the EU-Western Balkans Summit organized by the Friends of Europe on Tuesday. The event addressed the political, economic and social issues that affect the Balkans. Mr Blanuša took part in the session entitled Bridging or Fuelling Divides: The Role of Media and Grassroots Organisations. The session discussed the existence of a strong and independent media as a guarantor of democracy. 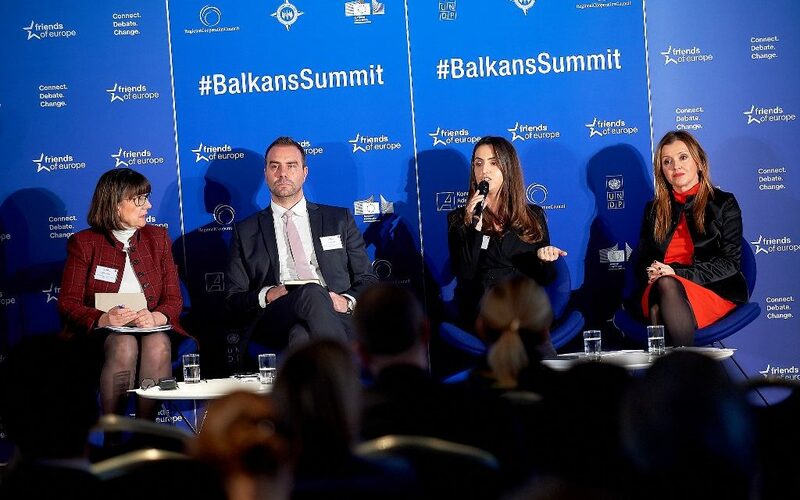 Moreover, it addressed the challenges in the Western Balkans stem from deep social divisions and how media can play a role in encouraging reconciliation, increasing connectivity and encouraging mutual understanding in the region. RYCO Secretary General pointed out that reconciliation is not just the absence of war. We are still not there, he said and added that we have to work much more, and especially with young generations in order to secure peaceful and prosperous region. The panel moderated by Director for Europe & Geopolitics at Friends of Europe Ms Shada Islam was attended also by State Secretary for Political Affairs at the Ministry of Foreign and European Affairs of Croatia Ms Zdravka Bušić, Co-Founder and Executive Director of the Investigative Reporting Lab Ms Saška Cvetkovska, Head of the Western Balkans Task Force at the European External Action Service Ms Jasna Jalisic and Executive Director of Open Data Kosovo* Ms Blerta Thaçi.